How to complete the "use a Volcano Vent, a zipline, and a vehicle in the same match" week 5 challenge in Fortnite Season 8. If you’re diving into Fortnite’s week 5 challenges, then you’re going to need to know how to complete the “use a Volcano Vent, a zipline, and a vehicle in the same match” challenge. When completed, this challenge will reward players with a whopping 10 Battlestars, making it a task you’ll want to knock out early on. The good news is, you can easily achieve this challenge, if you know where to go. In order for this challenge to be completed, players must use a Volcano Vent, a zipline, and a vehicle all in the same match. This can be quite challenging if you don’t know the locations of these various items. Thankfully, we know exactly where to look, and if you follow this guide, you’ll be able to complete this challenge very easily. The first step to completing this challenge is to hop into a match. 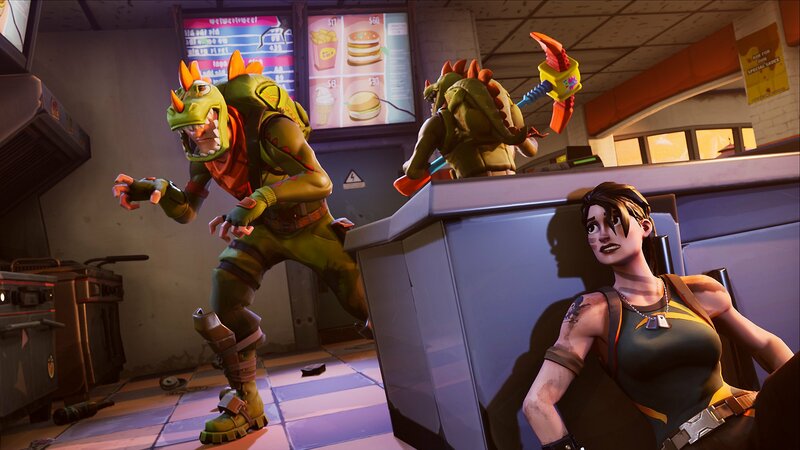 Of the many changes to the map in Fortnite Season 8, Epic added a few more key locations to the map, including some new expedition outposts. These areas are where you can find the Baller, one of the current vehicles available in Fortnite Season 8. Head to the designated area to find all three of the components you need close together. Obviously, if you want to use a Volcano Vent, then you’re going to need to land close to the volcano, which is located along the upper right-hand corner of the map, just southwest of Sunny Steps. 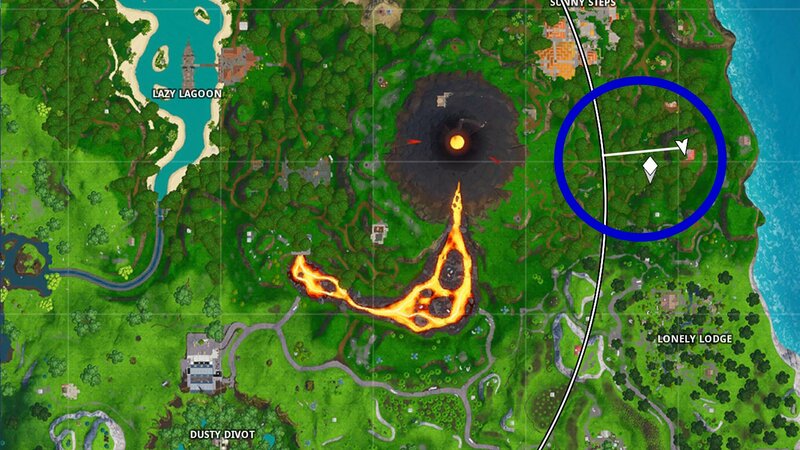 It’s impossible to miss the volcano’s location on the in-game map. If you look directly east of the volcano, though, and just southeast of Sunny Steps, you will see a highly forested area. This area has all the items you need to complete this challenge. To easily pull off this challenge, look out for an expedition outpost situated between Sunny Steps and Lazy Lagoon. It should be fairly easy to spot as you dive into the game from the Battlebus. 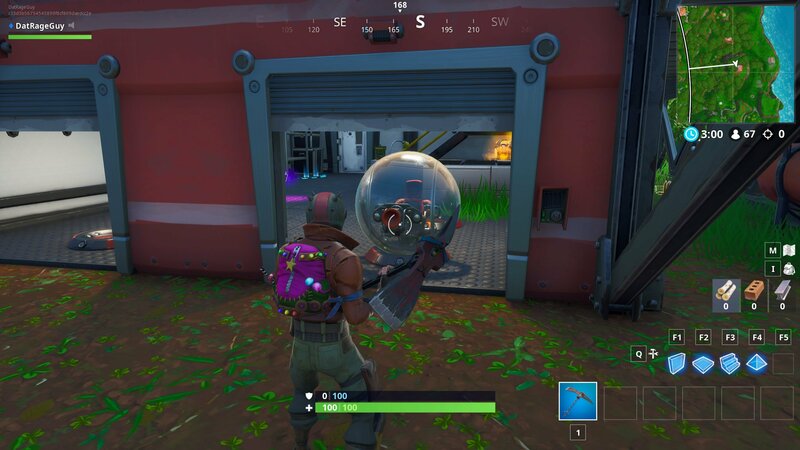 If you can land at the expedition, you’ll be able to grab one of the Ballers from inside. Ballers can be found at various expedition outposts around the island. With a Baller in tow, make your way eastward, towards the volcano. This area is absolutely littered with Volcano Vents and ziplines, so you shouldn’t have an issue finding the other two parts of this challenge and claiming your Battlestars as a reward. Now that you’ve completed the “use a Volcano Vent, a zipline, and a vehicle in the same match” challenge, be sure to head back over to our Fortnite guides for more help conquering all the difficult challenges that Fortnite Season 8 has to offer.